Directions: Write the episode mission below in the "Episode Mission" box of your Episode 1 Lesson Chronicles. I can tell you the part that Cornelius Vanderbilt played in building America. Directions: Read the Episode 1 Overview below. 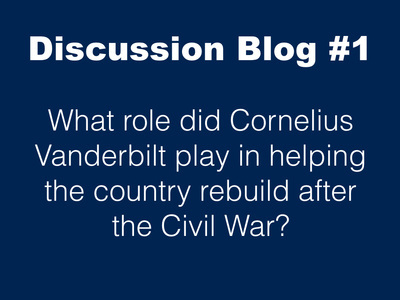 As the nation attempts to rebuild following the destruction of the Civil War, Cornelius Vanderbilt is the first to see the need for unity to regain America’s stature in the world. 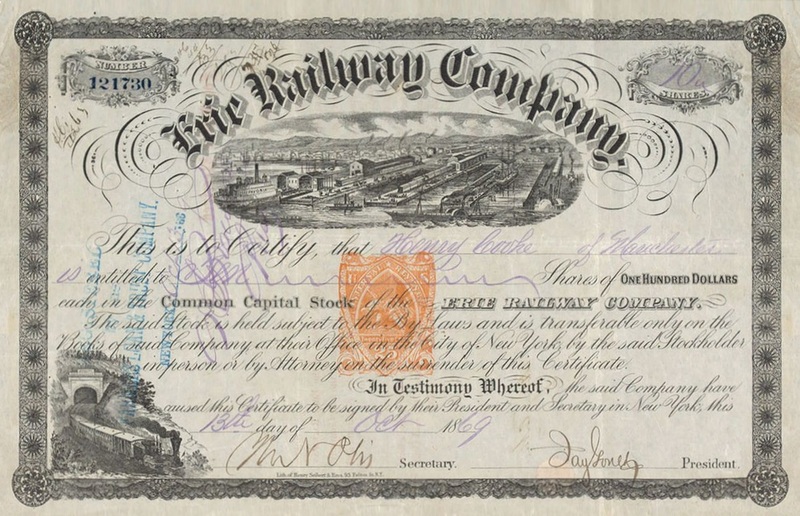 Vanderbilt makes his mark in shipping and then the railroad industry. 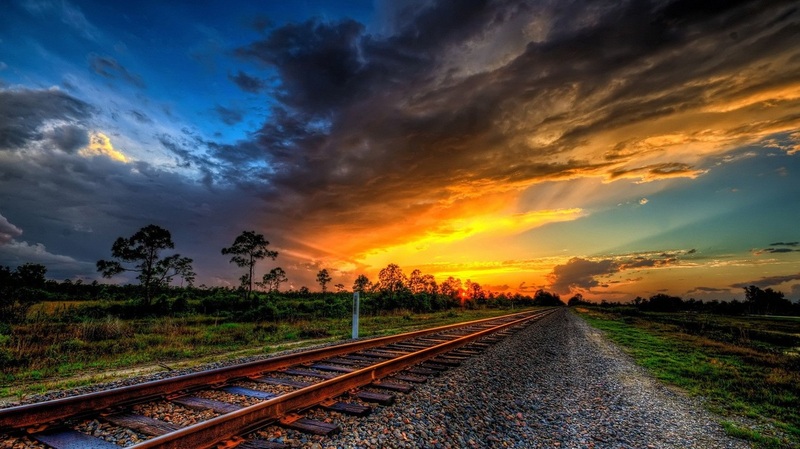 Railroads stitch together the nation, stimulating the economy by making it easier to move goods across the country. But Vanderbilt faces intense competition early on, showing that captains of industry will always be challenged by new innovators and mavericks. Directions: While Watching Episode 1: A New War Begins, answer each of the following questions in the "Episode Guide" section of your Episode 1 Lesson Chronicles.. You should read one question ahead so that you are always listening for the answers you need. If you are absent, you can view the Episode by clicking on the link below. Soon after acquiring his first ferry, _______________________ earned a reputation of being a cutthroat businessman who would win at any cost. 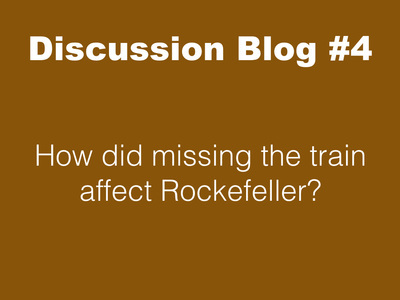 In 1866, Vanderbilt was especially struggling after the loss of his ___________________________. Vanderbilt's rivals stopped believing he was a strong business adversary. To convince them he was still powerful, he closed off the ______________________________ Bridge cutting his rivals off from the city of ________________________________. 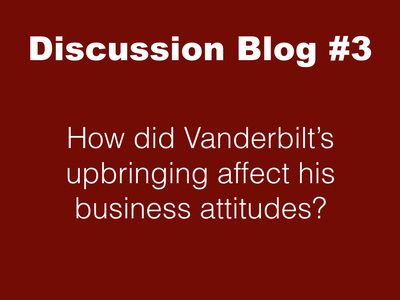 What did Vanderbilt do when his rival's stock prices dropped? ___________________________________________________________________________. To show that he was a powerful railroad magnate, Vanderbilt helped build an enormous New York building called ____________________________________________. Vanderbilt used a technique called a/an ______________________________________ where he rapidly bought a large amount of another company's stock. To prevent Vanderbilt from taking over their company, Gould and Fisk tricked Vanderbilt into buying seven million dollars of ____________________________________ stock that would be about one billion dollars today. The objective of the super rich is often not to make money, it is to ______________________________________. On the way to meet Vanderbilt, ____________________________________ narrowly missed a train that ended up crashing on the way to New York. 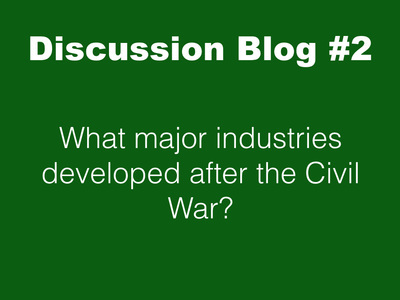 Directions: After Watching Episode 1: A New War Begins, click on the links below and blog your answer to each of the following discussion questions. Make sure you write in complete sentences and that what you type makes sense. After everyone has blogged, we will discuss your answers and together create, "the great answer" by compiling and revising all of the best responses. After we create, "the great answers" as a class, you will write these in the "Class Discussion" section of your Episode 1 Lesson Chronicles. Directions: Look at the stock certificate below. Answer the questions below the stock cartoon in the Episode 1 Investigation Box of your Episode 1 Chronicles. This stock in the _____________________________ company. Directions: You have completed the Episode 1 Lesson of the Men Who Built America Project. Click on the icon below to go back to the Project Homepage.